Home » Environment » Container full of garbage tips over! 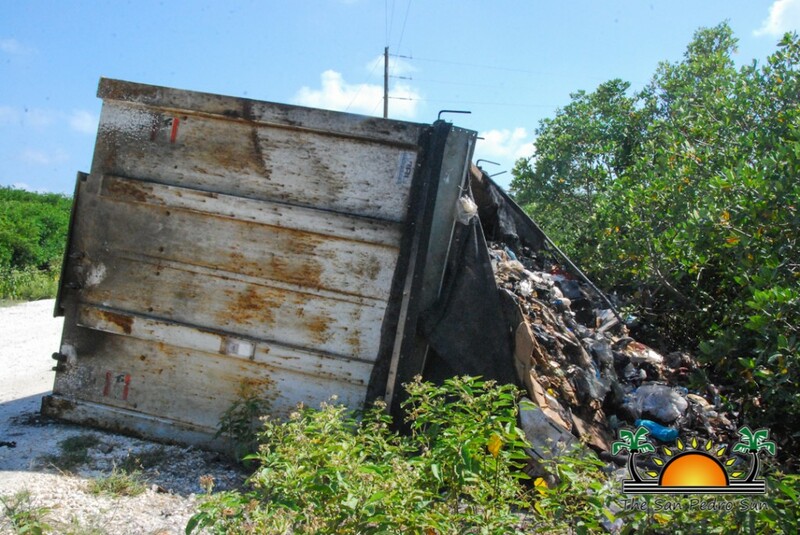 A large shipping container filled with garbage was reported to have turned over near the San Pedro Solid Waste Transfer Station in Southern Ambergris Caye. 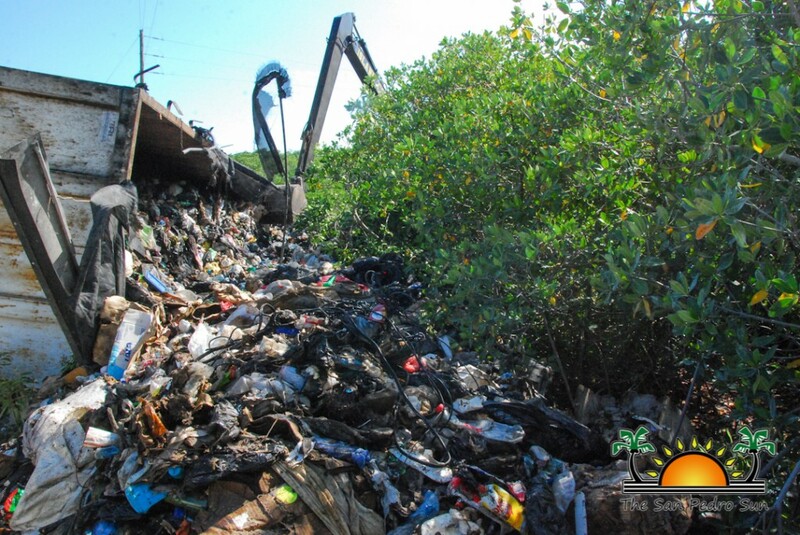 The incident left a massive pile of trash along the road; spilling into the mangroves and floating into the nearby water ways. The mountain of filth sat at the location for over a week before any action was taken to rectify the situation. 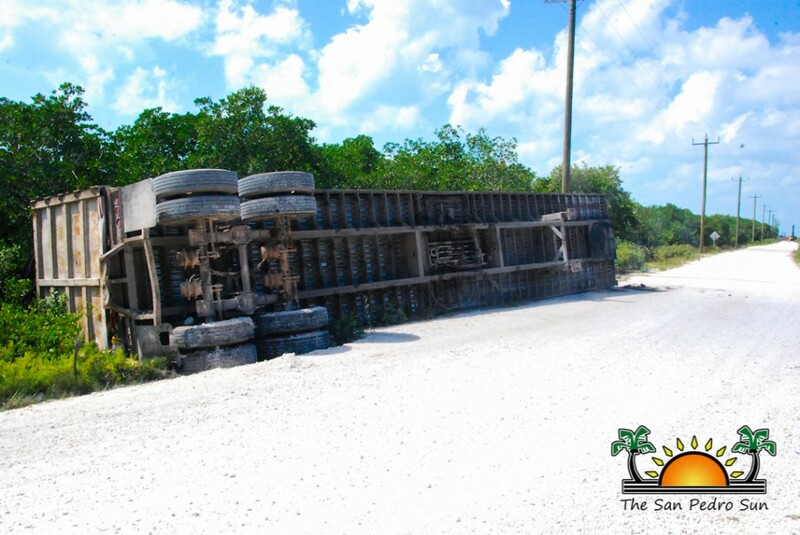 The incident was first reported to a local construction company on the day it happened which was late Tuesday evening, April 5th when the container flipped. As it was already late, the crew did not arrive on the scene until the following day. 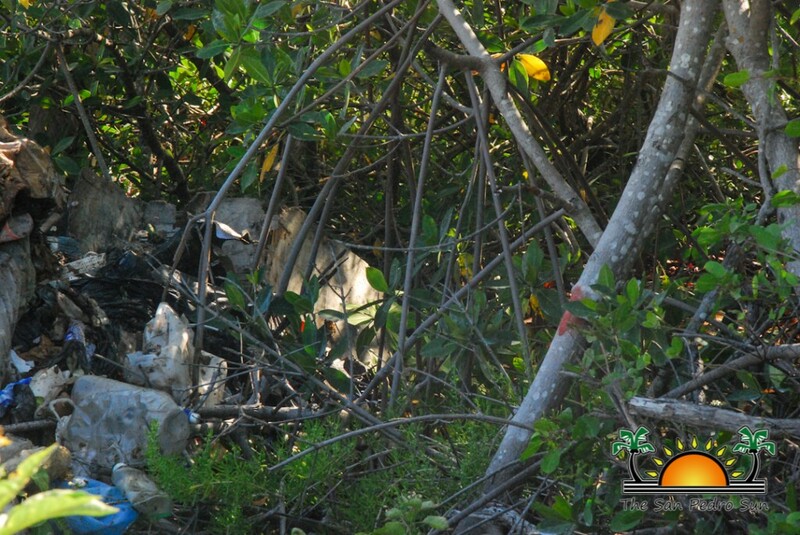 They reported garbage all over the place, especially near and in the mangroves that line that portion of the road. 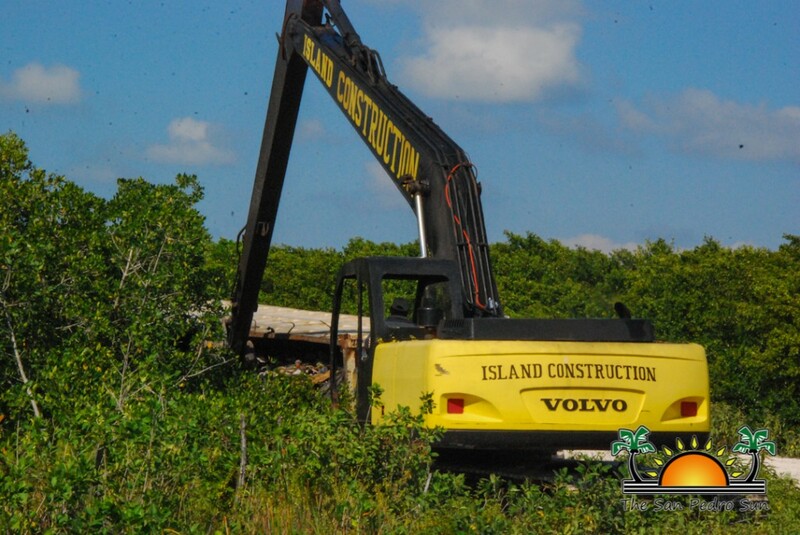 Several attempts were made to get the container on its wheels by using a 50-foot excavator, but to no avail. 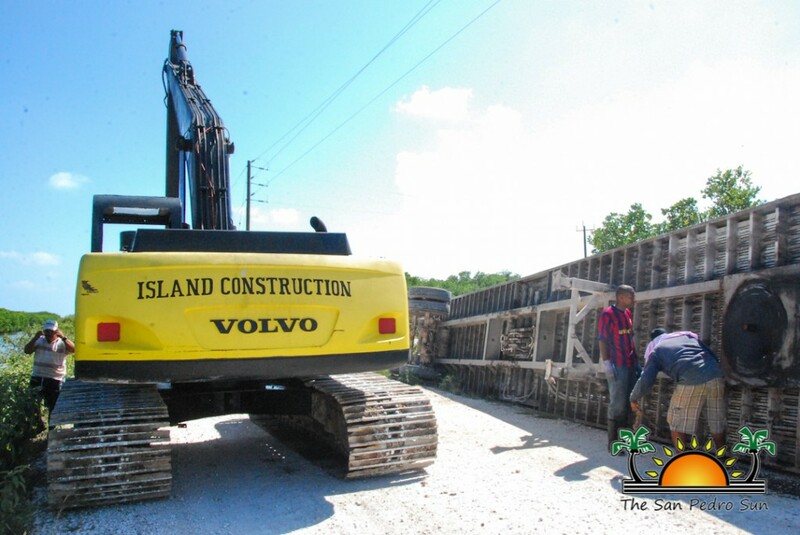 The next day a crane was brought in, and that did the job in a matter of minutes. However, the problem was not completely solved, as the garbage remained untouched. 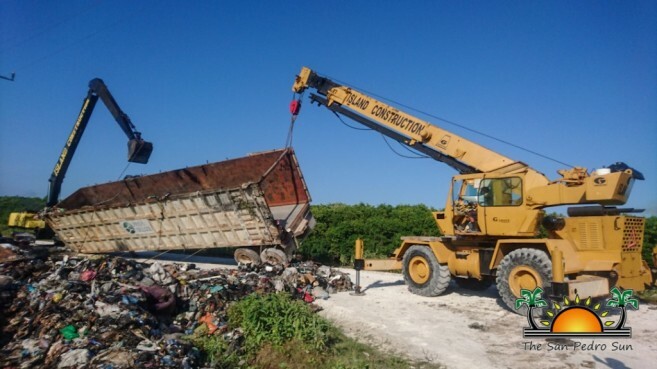 The San Pedro Sun reported the incident to the Hol Chan Marine Organization as well as the local municipal authorities at the San Pedro Town Council. Both committed to follow up on the issue and make the necessary reports after their investigations; but upon following up, the garbage remains where it fell. 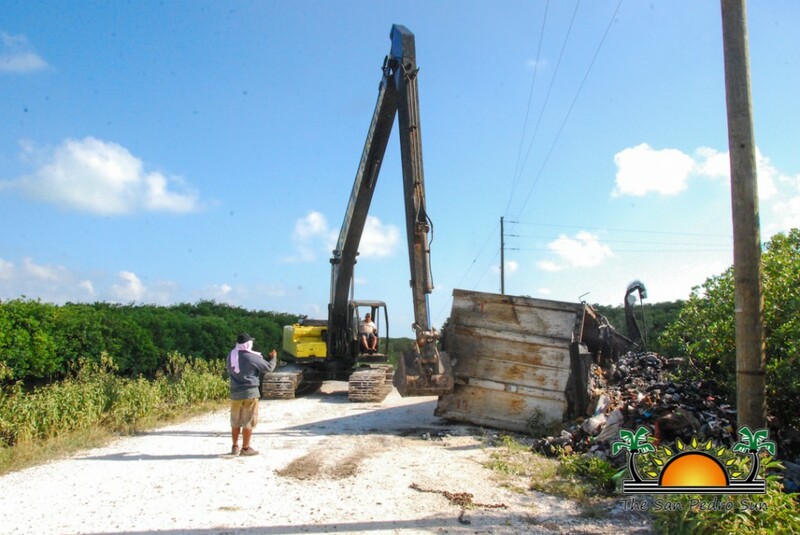 In a final attempt to address the issue, The Sun notified the Belize Solid Waste Management Authority (BSWM) in Belmopan. Headquarters personnel were unaware of the situation, but began making arrangements to get the situation solved. 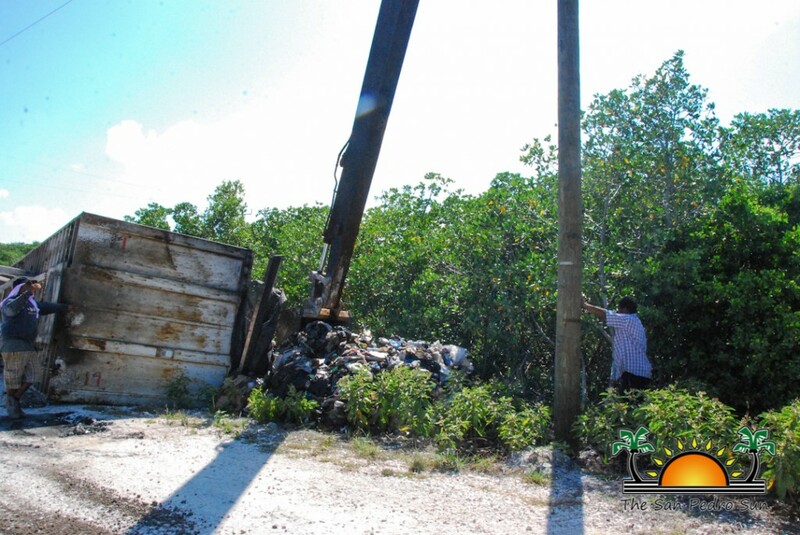 The BSWM informed The San Pedro Sun that the container belongs to PASA Belize Limited ( a Mexican waste management company), which is the firm in charge of the operation of the transfer station in Ambergris Caye, and which barges the garbage to the sanitary landfill on the mainland. 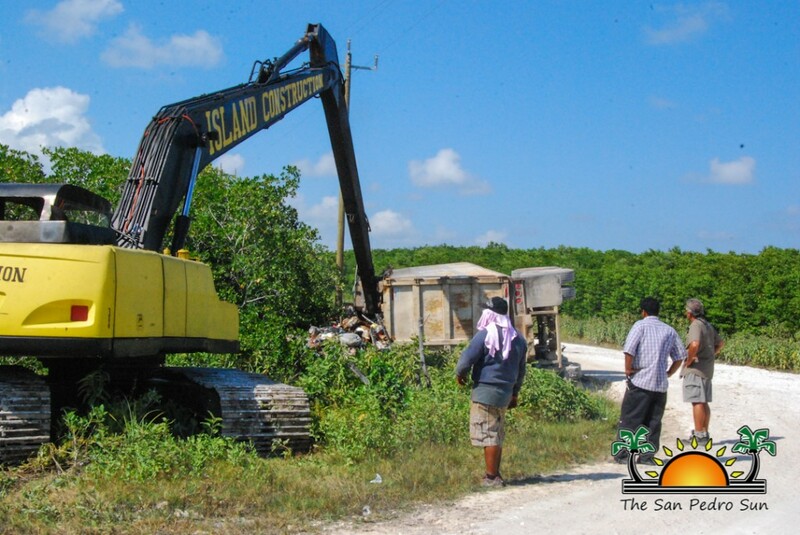 BSWM has the responsibility to ensure that PASA complies with the operation and the environmental compliance plan, and given that the incident happened over a week ago, the BSWM will ensure it is taken care of and an investigation surrounding the incident/accident will take place.